Southbourne Chess Club meets on Friday evenings, 7.00-10.30 p.m. CAR PARK ACCESS IS FROM OLD PRIORY ROAD. The Tuckton Social Club car park is accessed from Old Priory Road. If coming in from Belle View Road, turn right on Old Priory Road rather than following the road to the left. Approach the barrier slowly and it will rise automatically. If coming down Old Priory Road from Foxholes Road do not follow the road to the right, but go straight ahead. Approach the barrier slowly and it will rise automatically. There are 10 spaces. If you cannot get in, there is free on street parking on the surrounding roads of Danesbury Avenue and Rowena Road. Pedestrian access is from Tuckton Road and Old Priory Road. Note:The Social Club car park is only for use when attending club activities . Above and to the right is a a picture of the Car Park Barrier in Priory View Road. As can be seen from the photos below, the building is of modern construction, has disabled access and is all on one floor. 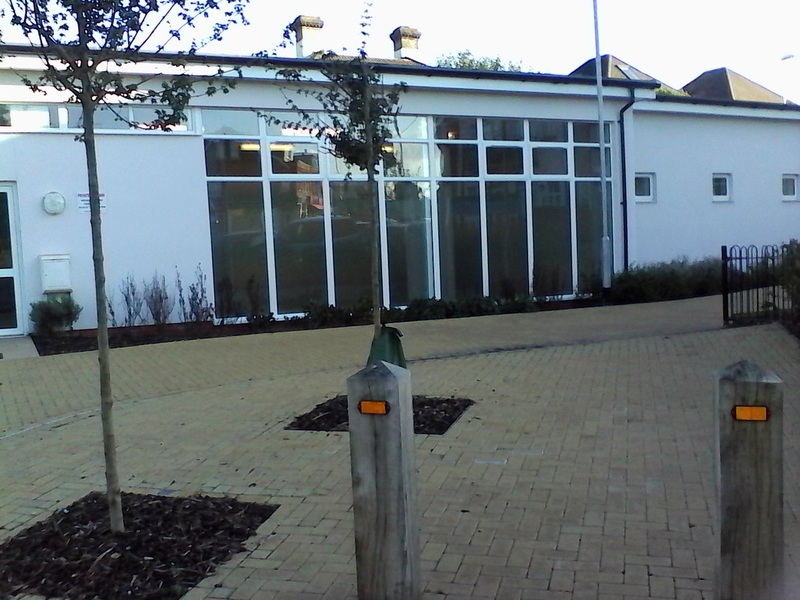 There is a disabled toilet in addition to the usual Ladies and Gentlemens facilities.The pictures below are of the Front entrance and the main hall viewed from Tuckton Road. If you are coming by bus, Yellow Buses stop almost outside. Use the 1 or 1b and ask for Tuckton Bridge. See www.bybus.co.uk website for details of times etc. or click below. Visitors of all standards are always welcome. Although the main chess season runs from September to May, we play throughout the year. The club currently has about 25 members encompassing a wide range of playing strengths. Juniors are very welcome. For those who enjoy refreshments we have a tea & biscuit break at 9 p.m. and after a duel over the board, some members meet in a local pub, to share in all those brilliancies and blunders (hopefully more of the former!). The Club is a non-smoking club and smoking is not permitted anywhere in the building. It is allowed in the car parking area, but all stubs etc must be disposed of properly.